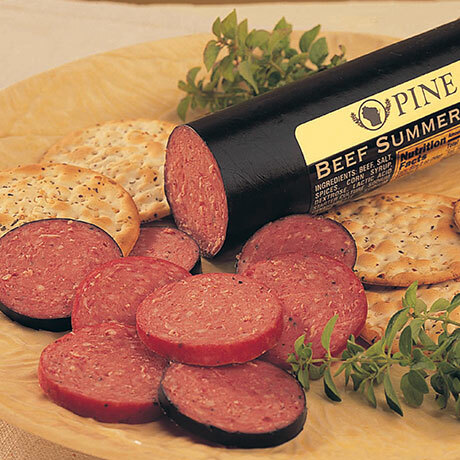 This slim sausage makes neat, cracker-size slices. Features a beautiful black casing. 11-ounce beef stick. BEEF, SALT, CONTAINS LESS THAN 2% OF FLAVORING, CORN SYRUP, DEXTROSE, LACTIC ACID STARTER CULTURE, SODIUM ERYTHORBATE, SODIUM NITRATE.